Like any other commercial facility, business, or government office, a smart library needs a robust access control system to track who’s entering and exiting the facility. An important part of any comprehensive security system is minding your entrances and exits in a way that keeps the facility secure but also provides convenience for your staff and visitors. Commercial access control systems can help you do this. But there are other components of access control that you may not think about. 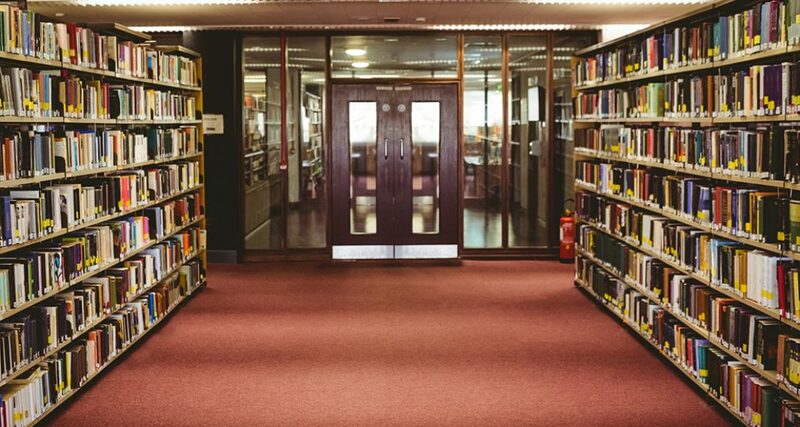 Here are some other things to consider when installing access control in a smart library. Safety of the library. Security cameras installed in a smart library help monitor the people visiting the library and keep them safe while they’re browsing, researching, reading, borrowing, or returning. Prevention of theft. Security cameras coupled with barcodes and magnetic book alarms can prevent theft. Flexibility. The latest security camera systems provide smart libraries with the flexibility to place the cameras almost anywhere. You can place them at the entrance to track the number of people visiting the library, analyzing the traffic, monitor the frequency of visits, etc. Library membership recognition. Recognize and allow library members to access the smart library using IR sensors. Precise reporting. A traffic counter produces reports on the number of visitors entering the library every day, week, month, or year. These numbers can then be used to define different metrics related to libraries such as the requirement of staff, budget, inventory, etc. Reliable community resource. By getting adequate staff, budget, and inventory, a smart library can establish itself as a reliable resource in the community. Real-time tracking of customer behavior. A traffic counter allows you to track and record the actions of the people visiting the library. It can also allow you to understand what’s attracting them the most and what they’re not liking. Optimization of the most attractive sections. With the help of a traffic counter, you can discover how many library visitors are visiting each section in the library and spot the most attractive sections. If need be, you can also change the layout of the library based on visitor behavior. Borrow, renew, and return books using self-service features. Use free Wi-Fi in the library. Easily access, explore, and browse the library catalog. Create a smart library account, save books, search for titles, etc. Access the library remotely using via a computer or smart device. Enter the library when the smart library system detects the tags on the books using RFID.